Morning had arrived; after a quick breakfast at the hotel we packed our things and got back on the road; we would be in Pittsburgh in less than three hours. We have visited this city several times, but it can still be intimidating. 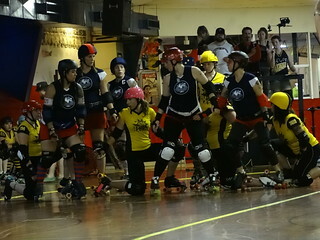 Make a wrong turn? In most cases it is not a simple matter of turning around; oh no, here you find yourself on a bridge, crossing one of three rivers, in some cases the road takes you directly into a tunnel….a long tunnel. Once you figure out where you are, you have to reverse the process and try again; if you’re not in a hurry it can lead to some very interesting sight-seeing. Luckily for me Kris has an amazing sense of direction and we can usually get where we want without too much trouble. The first stop on the day’s agenda was The Strip. 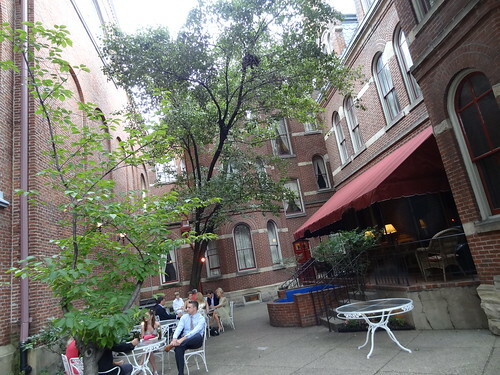 Located just outside of downtown, this is Pittsburgh’s historic market district. Back in the 1820’s this area was mostly industrial; iron mills, glass factories and foundries employed both locals and southern and eastern European immigrants; by 1915 80% of strip district residents were foreign-born, 30% were Polish. Andrew Carnegie got his start in the iron and steel industries here with mills on Smallman and 33rd. In the early 1900’s produce merchants began moving into the strip to be near the Pennsylvania railroad yards; remember back then everything was transported by train. Produce terminals, auction houses and wholesalers took up residence on Smallman and Penn; unfortunately The Depression then a massive flood and finally WWII took their toll on the area. Soon trucks replaced railroads and chain grocery stores took over small independent stores; in the 1970’s 71 wholesale produce dealers remained in the strip, by 1970 only two dozen were left; we in Detroit know the cycle all too well. The good news is today The Strip is alive and well! 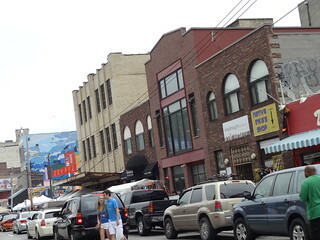 We parked on Smallman and were amazed at the amount of people and activity in the area. 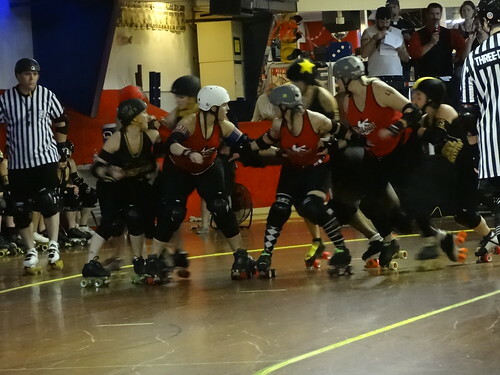 Penn is the main street these days, so that’s where we started;blocks are long, the street seems never-ending. 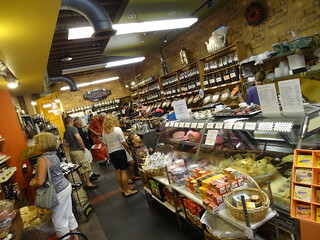 If you are looking for something food related I’d be willing to bet you can find it here; meat shops, fresh produce, street-side grills, ethnic food stores, spice shops and chocolate; I counted 4 coffee shops. There are places you must see: Wholey Market is definitely one. 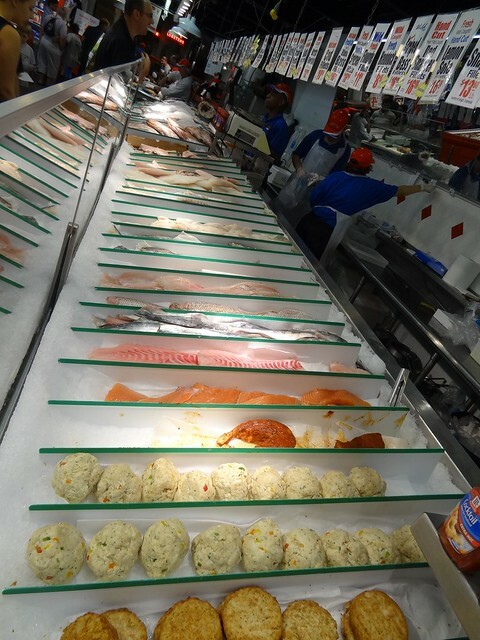 This market is amazing; selling every kind of fish and seafood you can think of, the main attraction is their aquariums of live fish located in the back of the store; crowds gather around as customers make their selections. Whole, filleted, fresh or frozen, it’s here. 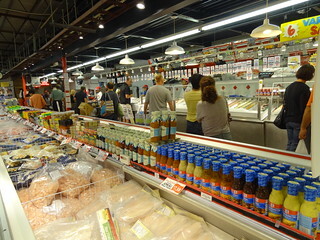 The place is huge, meander around from section to section; meats, poultry, deli, fudge and groceries; they are celebrating 100 years in the business this year! 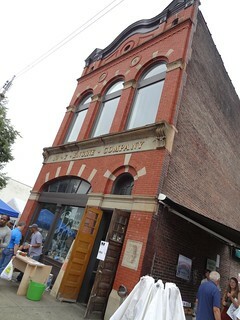 Baked goods are available for sale out front as a man sings and entertains market-goers, it’s an experience in itself. The street is lined with sidewalk merchants selling everything from imported clothing, shoes and jewelry to Steelers wear. 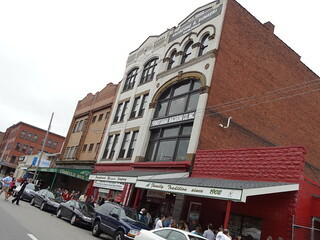 The buildings are left over from the glory days; signs are still hand-lettered, second and third generations shop in the same shops their grandparents did. The Pennsylvania Macaroni Company has been around since 1902, definitely stop in. The aroma of food has been penetrating these walls for over a hundred years; salami, capicola, fresh mozzarella, Parmesan, at least 20 varieties of olive oil and more shapes of pasta than I’ve ever seen! There are non-food shops here too; home decor, antiques, cigars, pottery and kitchen ware. We were starving, time for lunch! We already knew where we were going to eat since we decided to come to the city; The Enrico Biscotti Co. Biscotti? you say? Well, sort of….The Enrico Biscotti Co. began as a bakery specializing in traditional Italian pastries; all made on site, by hand. 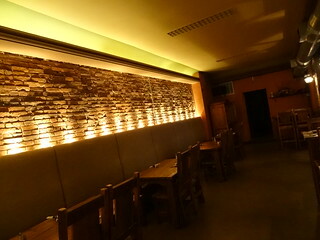 A few years ago they opened a small cafe that adjoins the bakery, the food is outstanding. 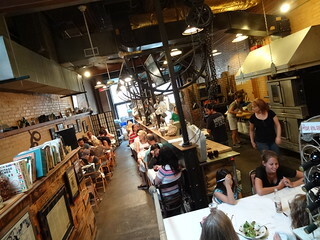 You enter the cafe from an alley sidewalk, tiny tables line the walk. We stepped inside the door, the restaurant was filled to capacity, we asked to sit outdoors and were told to sit anywhere we wanted. 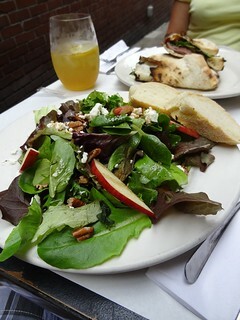 The menu is concise; Beans and Greens, brick oven pizzas, sandwich, salad and soup. The food is simple food, deliciously prepared. We ordered the Sanga Weech of the day; their tender, flavorful pizza crust serves as the bread, a selection of meat, cheese and veggies make up the filling, yum! The Big Fat Salad of the day had granny smith apples, toasted pecans and chevre, house made balsamic vinaigrette topped it off, everything here is tasty! 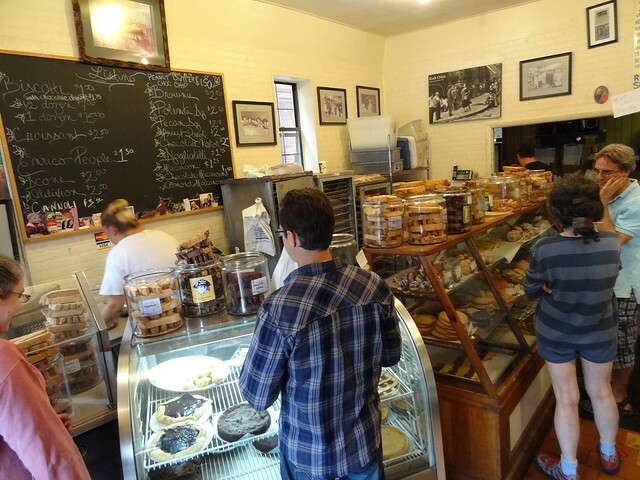 You can have your dessert in the cafe, but we preferred to walk the few steps to the bakery itself and see the offerings with our own eyes. As you have gathered by the name, the house specialty is the biscotti; this is not your ordinary biscotti. Loaves of dough are made with real butter and flavorful ingredients, then cut into wedges and baked; the selection is endless. The Macaroons are fantastic, oversized and dunked in chocolate they are always a good choice. Truthfully, I’ve never gotten anything here that I didn’t like. 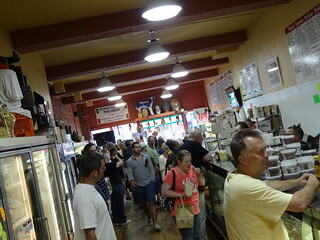 Today Kris found the pecan bars irresistible, we got one to go and walked over to La Prima for a couple of iced coffees. On the way back to the car we noticed the doors to St Stanislaus Kostka Church were open, so we took a peek inside, just gorgeous! Time to check in at our hotel. The Priory, located in the North Shore district, is a historic boutique hotel. Built in 1888 this Inn is fantastic a wonderful blend of new and old; originally St Mary’s Church and Priory the buildings now function as a hotel and event space. Desk clerks are helpful, warm and friendly; if you have questions about the building or the city, they have the answers. A recent addition makes the total number of rooms 42, an elevator was also installed, which makes getting luggage up to the third floor a snap! We stayed in the new section this time; the attention to detail is incredible, you’d never know this wasn’t part of the original building. Also new in 2011 is the Monk’s Bar; located on the main floor in the original building this mini bar is quite charming. After getting situated in our room we stopped in for a cocktail then retreated to the lovely outdoor courtyard to relax and sip our drinks. 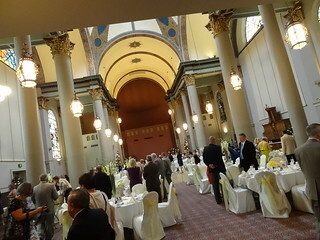 The former St Mary’s church is now known as The Grand Hall, tonight it was rented out for a wedding; guests are free to use the courtyard as well. We strolled over to the hall to have a look, absolutely stunning from the church to the decorations it would be hard to find a prettier place for a wedding. The evening had flown by and we had yet to have dinner, we were hoping we could find something open late. Taking the first bridge we saw crossing the Allegheny we ended up on Butler St in the up and coming city of Lawrenceville. The street is packed with bars, sidewalk cafes and restaurants, many of which were still open. 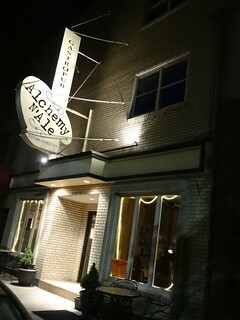 Alchemy N Ale looked interesting, the sign called it a Gastro-Pub and we could get seated immediately. Contemporary in design, the menu features a large selection of appetizers, salads, sandwiches and a few entrees. We picked the shrimp tacos and a burger and split both. 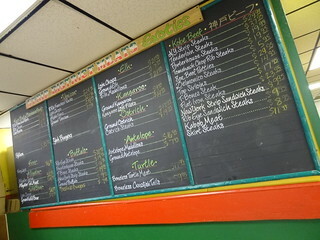 The food arrived without delay; there were three shrimp tacos each featuring a different sauce, we like all of them. The burger came on a kaiser roll with blue cheese, crispy bacon, a port glaze and sweet onion marmalade, very nice. We were so hungry the food disappeared quickly. 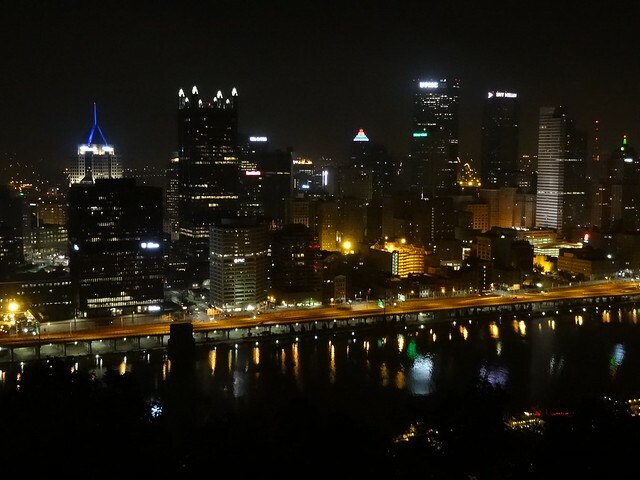 No visit to Pittsburgh is complete without driving up to Mt Washington; there isn’t a better view of the city. The area is always busy with tourists trying to get that perfect shot. 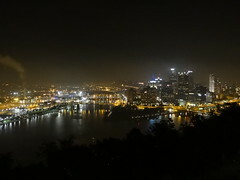 Night time is especially beautiful with all the lights of the city and bridges. Once at the top there are several overlooks to choose from; we stopped at all of them. You feel as if you could just stand here looking out with complete disregard to time. 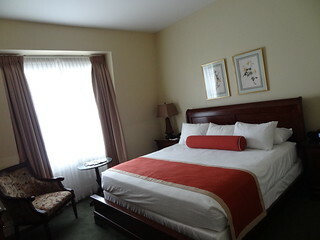 For us it was time to get back to our room and rested up, there is so much to do tomorrow!